"Leonardo had an instinctive sense of the vast geological forces that threw up the mountains, raised seabeds to great heights, and changed the form of continents. . .While in the mountains he observed marine fossils (including 'the bones and teeth of fish, which some call arrows and others serpents' tongues') lying in the strata, and wrote at length about the conflict between the presence of these shells and the biblical account of the the Flood. Leonardo's interest in geology must have been well known, for he recalled that 'when I was making the great horse for Milan, a large sackful [of fossil shells] was brought to me in my workshop by certain peasants.'" So Saturday was Sculpture's President's Day Iron Pour. I'd never seen an iron pour, and this was SO COOL! Of course, fire and molten metal are almost always cool. Here's just a few photos from the pour. Sadly, my camera battery conked out before the last few "special effects" molds were poured. Apparently sculpture does and iron pour once every semester. I'm totally going to have something ready for the next pour. 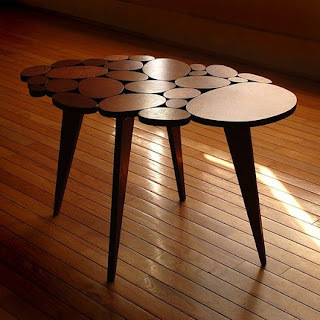 Sometimes I come across things that I would love to have in my house someday (if ever I own a house). 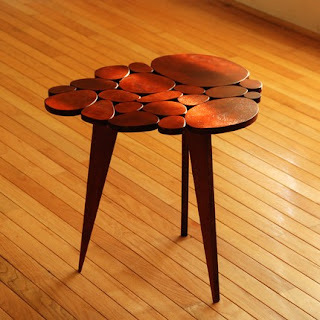 Today I came across these tables by the current Etsy Featured Seller, michaelarras. They remind me so much of my rocks, in a way. Some photos of the prints I'm working on. These are based on the sun prints I've been making. More on Flickr. 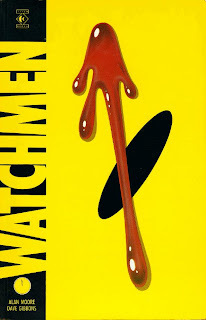 I know I should be reading lots of things (like the current issue of Metalsmith, and/or my art history assignment) but I'm not gonna lie, I'm currently reading The Watchmen. If you've never read it, you should. Or you can go see the movie, due out in March. Also, I'm currently loving The Fat Booty of Madness. 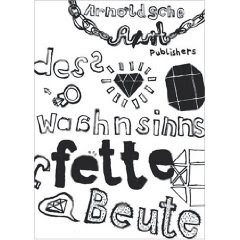 There's some fantastic avant garde jewelry in this book. One of my favorites are the Bondo and pearl necklaces by Laura Deakin of Australia. This book is definitely on my wish list. 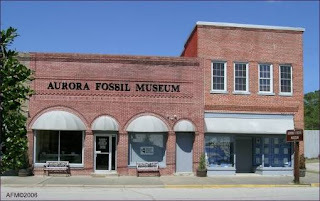 So on Monday, I was surprised with a trip to the Aroura Fossil Museum. It's a small (but free!) museum that has a great selection of fossil shark teeth, whale bones and other fantastic things found out at the Aurora Phosphate Mines. They also have a nice collection of arrowheads and other Native American stone tools, as well as some South American artifacts. But the best part was the big pile of dirt from the mines outside the museum where you could look for fossils. I found some small shark teeth, brachiopods, a porpoise tooth, stingray teeth, and some bits of whale and shark bone. Here's me playing in the dirt. Sadly, you can't just go the mines a collect fossils. It's a hard hat, steel toed boots type of thing. But if you become a friend of the museum you can go on their bi-annual collecting trips. I'm seriously considering joining! I'll be using some of my finds in my piece for Lark Book's 500 Found Object Works. To call myself beloved, to feel beloved on the earth." I Still Loves Me My Zuda. . .
Because I like bunnies and hammers. . . Sometimes, in order to go forward, you've gotta take a few steps back. Today I cut apart my sedimentary necklace from last semester and re-did the three loose sediment elements. The first ones were too opaque and to mushy. These new ones have the transparency I want but I might have to engineer a stringing method that helps them keep their shape. So I started off my day by being greeted by this fantastic set of hammers on my desk! They're technically seconds from the company, but I couldn't find anything wrong with them. They are absolutely stunning! And since they were seconds, I paid half price for them! I'm super excited because I don't have that many hammers, and these are just so beautiful. And again, half price! Then, as I was going through my Google Reader, I discovered that the Uppercase Gallery had posted one of my images on their wonderful blog! Thanks Janine! Also, as the first Monday of the month, today starts the February Competition over at Zuda. 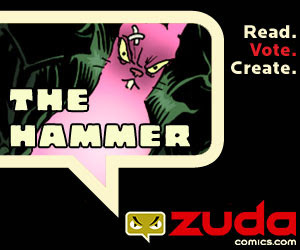 I'll be voting for The Hammer, a collaborative effort between Sam Little, Gabe Ostley, Rob Berry, and (of course) Steve Steiner. These guys are super talented, so be sure and show them your support! It's free! I got my hands on some more Nature Prints paper, and spent the late morning making cyanotypes on my window sill. Once they're dry, I'll go back in and outline everything in black Micron pen. I'm hoping to be able to use the transfer paper I was just introduced to to pull sections of these and turn them into intaglio plates. More on flickr.